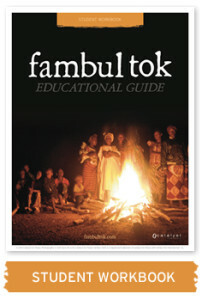 Click on the icon to download your own copy of our Educational Guide. 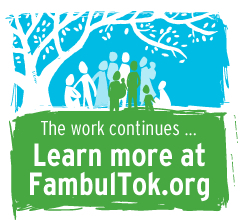 Both the EDUCATOR and STUDENT versions include thorough background material about Fambul Tok and Sierra Leonean history and culture and classroom handouts. 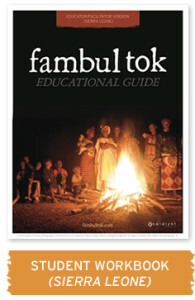 The EDUCATOR version also includes lesson plans and tips for teaching the topics addressed in the film. 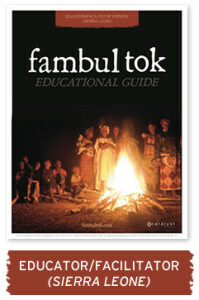 Please feel free to distribute the PDFs in whole or in part, or photocopy all or parts of either guide, for use by your students. 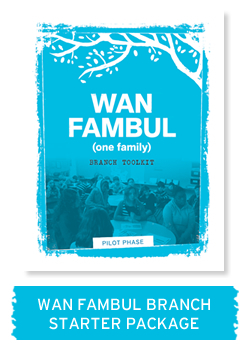 Click on the icon below to download the digital version of the Student Clubs — Wan Fambul Starter Package, complete with all the materials needed to start your own Wan Fambul Branch.